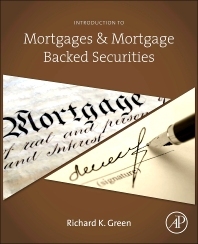 In Introduction to Mortgages & Mortgage Backed Securities, author Richard Green combines current practices in real estate capital markets with financial theory so readers can make intelligent business decisions. After a behavioral economics chapter on the nature of real estate decisions, he explores mortgage products, processes, derivatives, and international practices. By focusing on debt, his book presents a different view of the mortgage market than is commonly available, and his primer on fixed-income tools and concepts ensures that readers understand the rich content he covers. Including commercial and residential real estate, this book explains how the markets work, why they collapsed in 2008, and what countries are doing to protect themselves from future bubbles. Green's expertise illuminates both the fundamentals of mortgage analysis and the international paradigms of products, models, and regulatory environments. Upper-division undergraduates and graduate students studying real estate finance and capital markets. Common course titles include "Mortgages and Mortgage-Backed Securities and Markets," "Real Estate Analysis," and "Investment Property Analysis." How Consumer-Friendly Is the US Mortgage? Conclusion: What’s the Optimal Mortgage for a Borrower? Richard Green is Director of the Lusk Center for Real Estate at the University of Southern California. Prior to joining the USC faculty, he was Oliver T. Carr Jr. 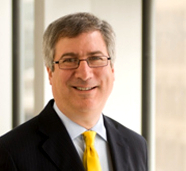 Chair of Real Estate Finance at The George Washington University School of Business. He was previously Wangard Faculty Scholar and Chair of Real Estate and Urban Land Economics at the University of Wisconsin, Madison.